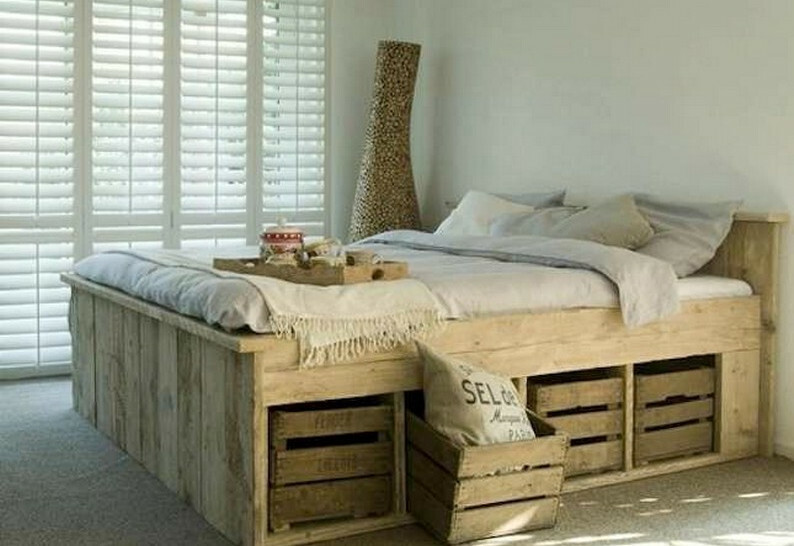 This looks like a rustic bed yet it is fit for city dwellings. What it has that looks unique is the raised frame. It also uses natural looking timber pieces that are not painted. And beneath there are four cubbies for wooden boxes’ storage. Again the choice of bedding is unique and personal.